Vermont Folklife Center researchers collaborated with the Norwich Historical Society’s Cycles of Change: Farming in Norwich exhibition project - conducting oral history interviews with Norwich-area farmers, during spring 2014. Interviewees were selected by the Norwich Historical Society and the interviews explored topics identified by the Norwich Historical Society as areas of particular interest. Audio interview excerpts were produced by the Vermont Folklife Center and combined with other media and storytelling content on farming in the area, including: research and writings by Charlotte Barrett, Alan Berolzheimer, Seth Goodwin; photographs by Chad Fine; and video by Ben Silberfarb. Excerpted from A story of our rich agricultural heritage written by the Norwich Historical Society. According to the U.S. Department of Agriculture, between 2007 and 2012, the number of farms in Vermont increased for the first time in 150 years. Despite the financial risks and physical demands, more people in this small state are choosing to become farmers. 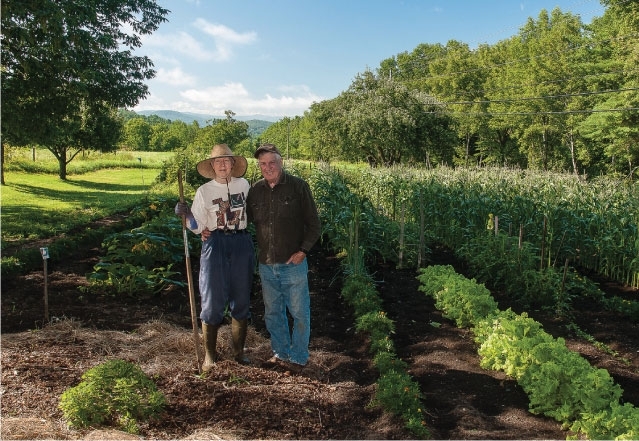 Vermont has become a national model for small-scale, sustainable agriculture. The state’s commitment to strengthening its food system, evident in innovative legislation such as the Farm to Plate Investment Program (2009), sends a clear pledge of support to farmers. 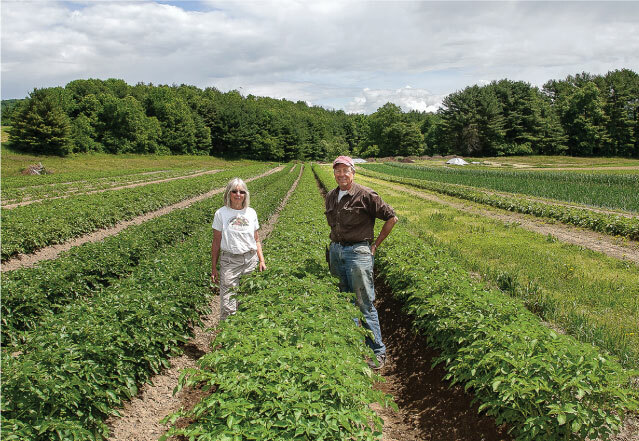 Statewide organizations like the Northeast Organic Farming Association and the Vermont Land Trust, along with countless local programs, work with farmers and food-related entrepreneurs to find the resources they need to be successful. The result: more land in agricultural production, more women and minority farmers, and a 15% increase in the market value of Vermont products. Developing the farm and food sector creates a robust economy and puts healthy food on our tables. The eight farms featured in this exhibit represent the diversity of agricultural enterprise in Norwich. Whether raising meat animals, growing organic vegetables, cutting hay, or making compost, these farmers share a commitment to high quality, nutritious food. They are creative in the face of an ever-fickle economy and resilient in the face of unpredictable weather. They are conservationists without the title, preserving open space, soil quality, and wildlife habitat. And they are agents of community—trading advice with each other, inviting us to invest in their farms through Community Supported Agriculture programs (CSAs), and giving us a reason to step out of busy lives to mingle with neighbors at farmer’s markets. Click here to visit the online exhibition at the Norwich Historical Society. In 2013 and 2014, Vermont Folklife Center ethnographer and film-maker, Ned Castle, partnered with Edgewater Gallery to produce short film vignettes to take viewers behind-the-scenes of Vermont artists that were showcased at the gallery during that time.